What is the Bunion Aid® Splint? The Bunion Aid® Splint was developed by scientists and orthopaedists for pain relief and correction of big toe malpositioning. This hinged bunion splint corrects toe malpositioning demonstrably, protects and relieves painful bunions and supports the entire foot while walking. The Bunion Aid splint is easily put on and can be worn on the left or right foot. The particular advantage of Bunion Aid is that unlike traditional rigid bunion splints, this patented splint system can be worn during the day under while walking. 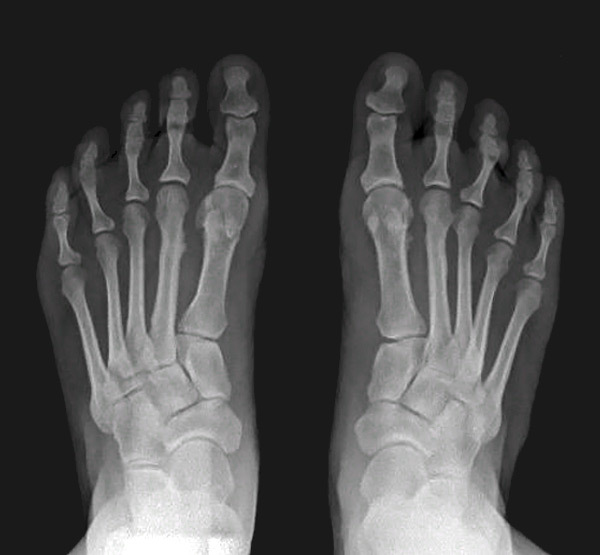 Utilizing an integrated joint next to the bunion, the natural flexibility of the base joint of the big toe is retained while wearing the splint. How does the Bunion Aid® Splint work? 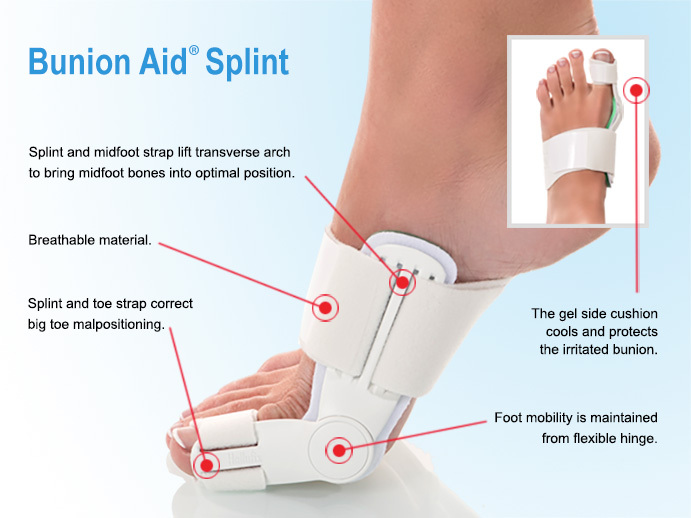 The Bunion Aid® Splint returns the foot to its natural shape, while protecting the joint and relieving bunion pain. Utilizing the splint worn on the big toe, the shrunken soft parts of the base joint of the big toe are expanded and the progressive malpositioning of the joint is corrected. With the splint, metatarsal and toe bandage, the foot is stabilised and incorrect weight load corrected. With the aid of the Bunion Aid® Splint, a foot deformed by Hallux Valgus can perform the natural flexing action free of pain. Furthermore, the transversal arch support puts the transversal arch upright again. Get rid of bunion pain now and avoid bunion surgery! How can I use the Bunion Aid Splint to avoid bunion surgery? Initially considered merely a blemish, bunions can cause an increasing amount of pain in the course of time. In the case of a mild to medium-severe development of bunion (Hallux Valgus), regular wear of the Hallufix® Hallux Valgus Splint eases the pain and counteracts further aggravation of big toe malpositioning. Studies confirm that the Hallufix® Bunion Aid orthosis is an effective device in correcting incorrect loading of the foot in the case of mild to medium-severe and not yet rigid Hallux Valgus malpositioning. How can I use the Bunion Aid Splint after bunion surgery? 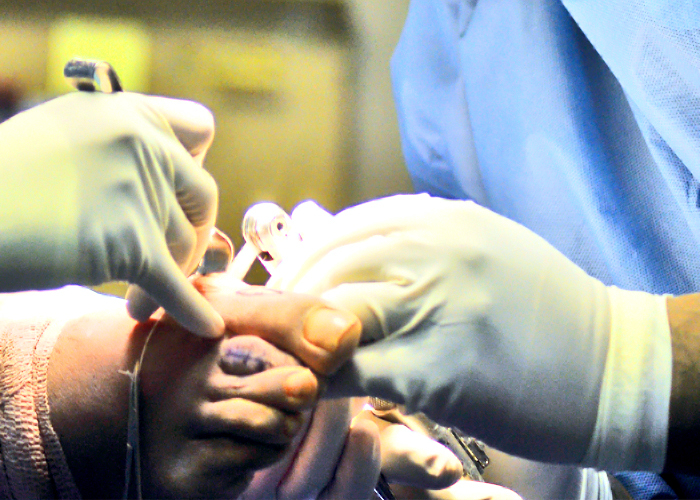 Following a Hallux Valgus surgery a conservative aftertreatment with an orthosis is generally recommended in order to stabilize the surgical adjustment of the toe. The Hallufix® Bunion Aid Splint optimally aids securing the result of the surgery and protects the foot even under load while walking. An early mobilisation is possible. Frequently, wearing bulky special shoes can be avoided. 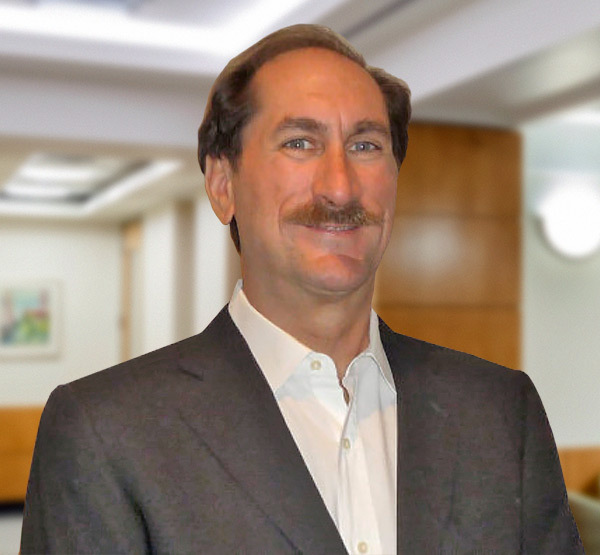 The postoperative rehab phase is shortened! Bunion-Aid® relieves your bunion pain right away. The cushioned hinged splint is so amazingly comfortable you’ll wear it often. The more you wear it, the better your feet feel! 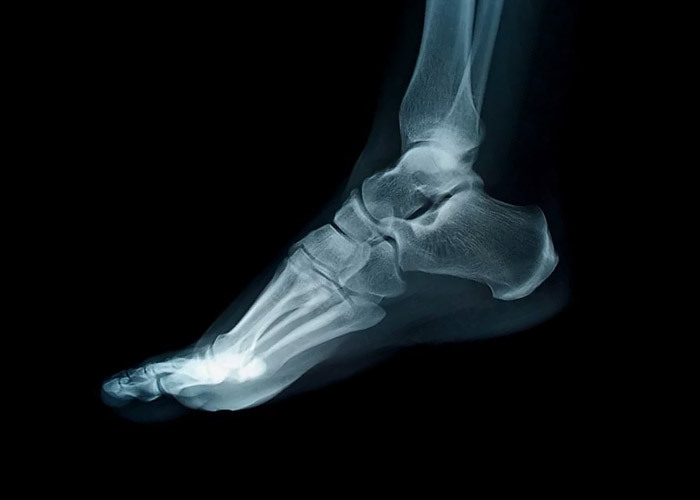 How does Bunion Aid take away your Hallux valgus pain? It stabilizes your arches while pulling the big toe away from the second toe. 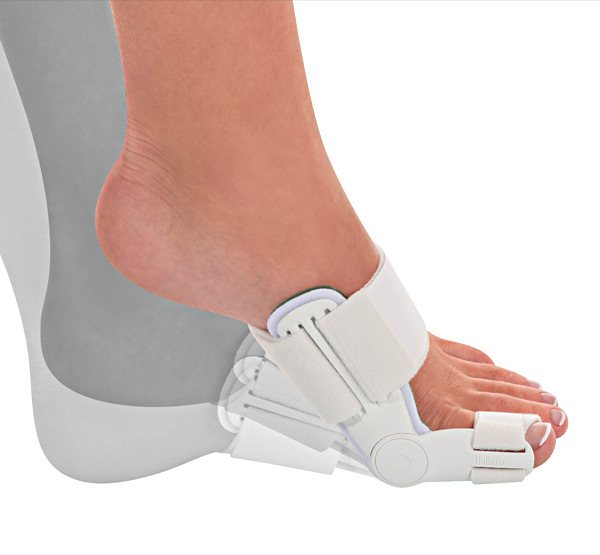 This flexible bunion splint with soft, adjustable straps is a breakthrough innovation from Germany! Beware of Imitations and Fakes! Don’t be fooled by cheap imitations or unproven products. Bunion-Aid is the only podiatrist recommended splint that is proven to effectively correct bunions. Click here for some of Bunion-Aid’s Clinical Studies and Podiatrist Recommendations!! If you do need bunion surgery, use this day and night splint afterwards to avoid your bunion deformity from reappearing. Don’t wait. Try Bunion Aid today for fast relief! Finally Available Once Again in the U.S.!